A study conducted recently by researchers at UCLA proves that tenants who smoke cost landlords more money. But by implementing complete smoke-free rules throughout their properties, owners of multi-unit rental buildings in California alone could save up to $18 million a year by eliminating the extra costs of restoring smokers’ apartments, according to the study. No smoking policies can also protect landlords from liability for secondhand smoke illnesses suffered by neighboring tenants. The study will appear in the American Journal of Public Health this October. This is the first study to take a systematic measure of smoking-related costs in multi-unit housing, as well as the first study of smoking and multi-unit housing to take into account small-scale multi-unit buildings — those with 15 or fewer units, according to lead author Dr. Michael Ong. About 66 percent of California Apartment Association (CAA) members own or manage small-scale buildings. For the study, the researchers conducted computer-assisted telephone surveys of 343 CAA members to determine landlords’ smoking-related costs, the costs they have avoided as a result of having smoke-free policies, and the economic benefits of having completely smoke-free policies. Smoking-related costs for recently vacated units included cleaning, repairs and maintenance; painting and decorating; trash collection and fire damage; property and fire insurance; and legal, administrative and other operating costs. The researchers found that nearly half of the multi-unit housing properties owned or managed by CAA members had no smoke-free policies, but the smaller properties had a threefold higher rate of smoke-free policies than the larger ones. 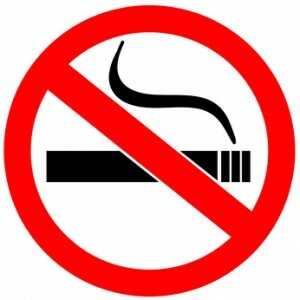 One-third of multi-unit housing properties are currently completely smoke-free. Researchers found that more than 25 percent of multi-unit housing properties had smoking-related costs in the past year. A landlord with one multi-unit housing property was likely to see smoking-related costs of nearly $5,000 in the past year. I had two long-term tenants who were both chain smokers and who smoked inside the house. I had to scrub every square inch of the walls to get the yellow nicotine film off the surface and only then was then able to paint. The paint would not adhere to the walls otherwise. After putting an odorant and enzyme in the solution for the steam cleaner could I get the smell out of the carpets. Fabric window coverings did not fare as well (had to be replaced). While it was nice to have a five year tenant who paid rent on time and was otherwise easy to deal with the work required to make the house rentable again was considerable. I don’t have a problem with smokers provided it’s understood that smoking only takes place outdoors. Previous post: Would You Know if You Owned a Drug House? Next post: Am I Discriminating When I Prequalify Tenants?